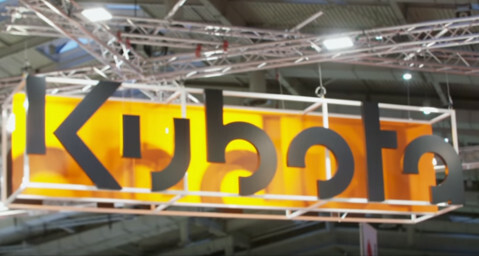 Kubota UK has joined forces with PACCAR Scout Camp, a charity funded organisation dedicated to helping young people achieve their physical, intellectual and social potential. PACCAR Scout Camp, located in Buckinghamshire, provides a fun and exciting camping experience for youth organisations, including Scouts, Guides and school groups. Visitors have the opportunity to experience an assortment of activities, from abseiling and archery, to climbing, high ropes and bushcraft. The Japanese manufacturer is working in partnership with PACCAR Scout Camp as part of its on-going initiative to support charities that are focused not only on improving the prosperous life of humans, but also protecting the environment. Karen Tipping, Kubota UK’s Marketing Manager, said: “We are delighted to support the PACCAR Scout Camp. The work and commitment of its 120 volunteers to give children of all ages the opportunities to experience the great outdoors is fantastic. “For many of the camp’s 50,000 visitors a year, it can be the first time they will have ever experienced the outdoors like they can at PACCAR Scout Camp. It’s an adventurous experience that’s not only fun and entertaining, but it can help build self esteem, confidence and team building skills. To help the camp’s volunteers get around the 67-acre site, Kubota has donated its rugged and robust RTV-X900 utility vehicle. Cliffe Brooke, Operations Manager at PACCAR Scout Camp, commented: “On behalf of everyone at PACCAR, we would like to thank Kubota and our local dealer George Browns for their support. We are a charity organisation, and like all charities, we need funding to be able to survive. With Kubota donating us the RTV-X900, it means we can focus our funds on what’s most important – continually improving our site and facilities to make the experience our visitors have when they come here, even better. “The machine will make a huge difference operationally, making life much easier for our volunteers, from ferrying equipment around for activities, to woodland management and general maintenance. It will also allow us to access areas of the 67-acre site that we previously couldn’t. Finding a tractor that is compact and manoeuvrable enough to work around livestock buildings is the challenge faced by mixed farms across the land. 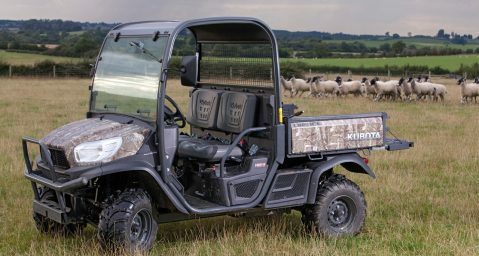 Kubota UK, has introduced a 0% finance offer across its full range of utility vehicles.